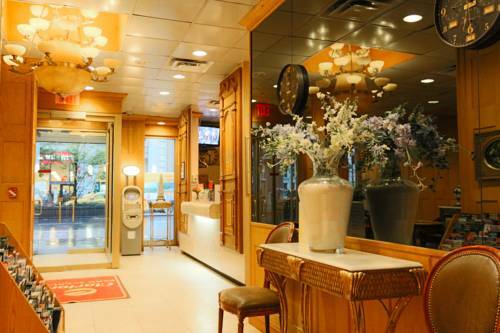 European-style hotel located two blocks from Fifth Avenue, Empire State Building and and 34th Street. Easy access to the Broadway Theater District and Times Square. Two blocks from subway. Discounted valet parking available to all guests. Fully refurbished guest rooms with individual climate control, in-room safes and 32-inch flat-panel LCD televisions. Free deluxe continental breakfast. Parking charge: 35.00 USD per 24 hours for cars only. Larger vehicles may incur extra charges. No in-out privileges.